We are expecting many Harvard ’60 and Radcliffe ’60 classmates will attend THE Game and/or the HAA luncheon. 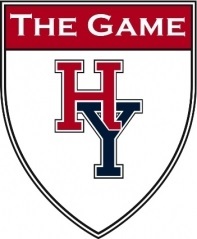 Be aware that THE Game (the 2018 version of the Harvard – Yale football game) is on Saturday, November 17, 2018 @ Noon. This THE game marks the 50th anniversary of Harvard’s 29 – 29 “victory” achieved when Harvard scored 16 points in the final 42 seconds. Both squads went into that game undefeated (a highly unlikely occurrence in 2018). The HAA will be hosting a brunch/lunch prior to THE Game at the House of Blues nearby Fenway Park. I am now told that by no later than September 17, tickets will be available at $40.00 per person. Get your tickets to the HAA luncheon as soon as they are made available. Space will be quite limited at the House of Blues (probably “seating” will be standing around high-top tables) in contrast to the Gordon Track facility at Harvard, the site of previous HAA pre-game luncheons. The start time of the lunch has not yet been determined either, though it is expected to be late morning (10:30 +/-). Notably, those who attend the HAA luncheon will NOT be required (as has been the case in recent years) to have tickets to THE Game. The House of Blues will have large screen TVS for those who want to watch THE Game there. If you are looking for tickets to THE Game itself, check availability HERE. They were being gobbled-up rapaciously when first available. Note: This notice is dated September 10, 2018. For more up-to-date information, do not hesitate to search the Harvard Alumni Association website -- https://alumni.harvard.edu/programs-events -- regarding particulars.